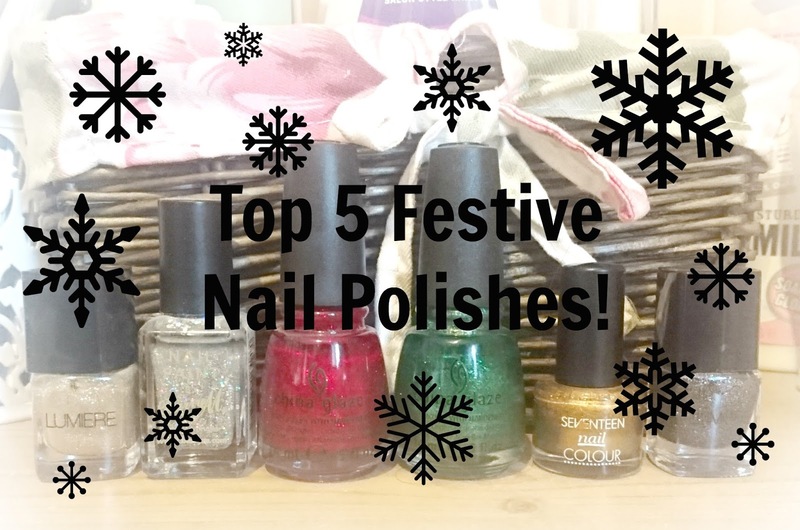 TheDarkeowl: Top 5 Nail Colours for Christmas Time! I always love a bit of sparkle around Christmas time, I think it just looks so pretty and adds a bit more to the Christmassy atmosphere! The first 2 polishes are from China Glaze and they are both glitters. One is an all-time favourite, it's their colour 'Ruby Pumps'. 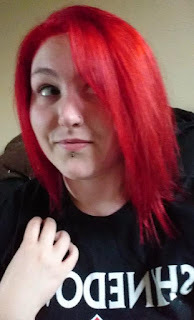 It's a beautiful red colour that has tonnes of sparkle in it and looks great at this time of year. It's really easy to apply and looks great while on the nails. It lasts a decent amount of time, but as with most glitters, it is quite stubborn to remove! Whether you wear it alone or as part of a design, this is a great colour to wear over the holiday period! The next China Glaze polish is 'Running in Circles' which is a green glitter. 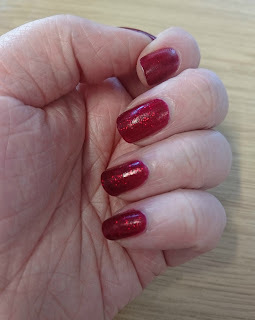 The formula is pretty much the same as Ruby Pumps but the glitter in this is more silver toned and reminds me of a Christmas tree! I love this all year round but think that it works perfectly at this time of year and again, can be used with designs or on its own. The next polish is more of a metallic than a glitter and it's from Seventeen. It's their colour 'Fury' which doesn't really sound all that Christmassy. 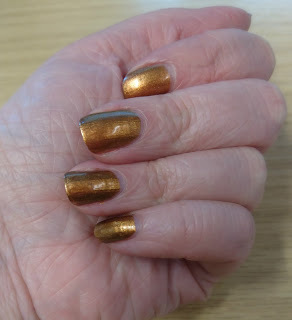 However, ignoring the name, Fury is a really nice deep gold/bronze colour that reminds me of Christmas decorations and warm fires. It has very small glitters in it that cover the entire nail and the formula is really smooth. It only takes 2 coats to become completely opaque and is quite elegant and more subtle than the fun China Glaze glitters. You can never have too much glitter at Christmas and the next colour is a glitter top coat from Barry M called 'Diamond Glitter'. 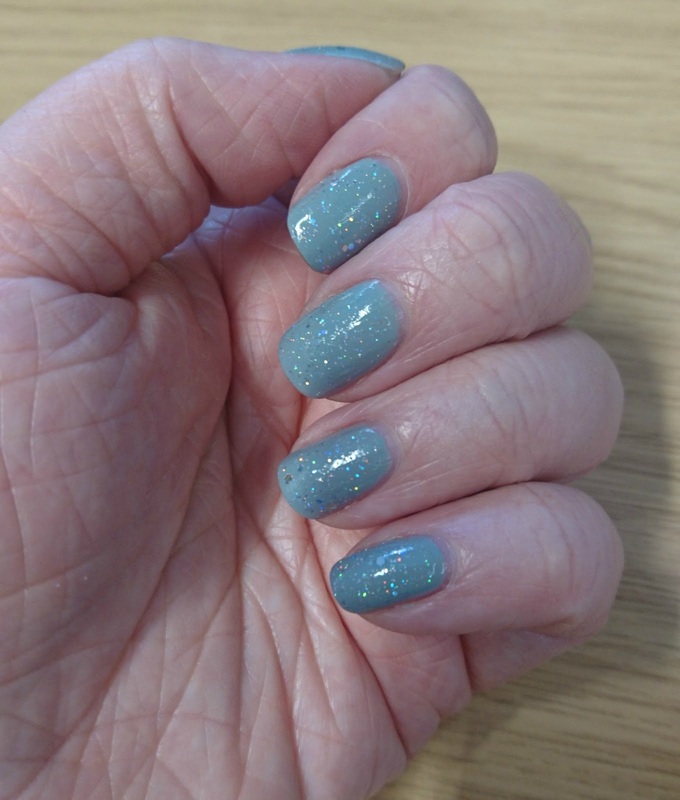 This looks lovely over a light blue or grey/silver polish. It looks like snow and the different sized glitters catch the light brilliantly. I tried this polish over a snowflake design I did a few years ago (and one I might replicate for this year) and it looked really pretty. For the last 2 I'm going to count 2 colours as one, as I don't actually know where they can be bought from other than Home Bargains and they don't have names. But I'm guessing there will be similar colours from other brands! These 2 colours are more top coat glitters. The one is a lovely glistening gold and the other is more of a dark silver colour. I love the darker colour because it reminds of snow at night when it glistens from the street lamps! 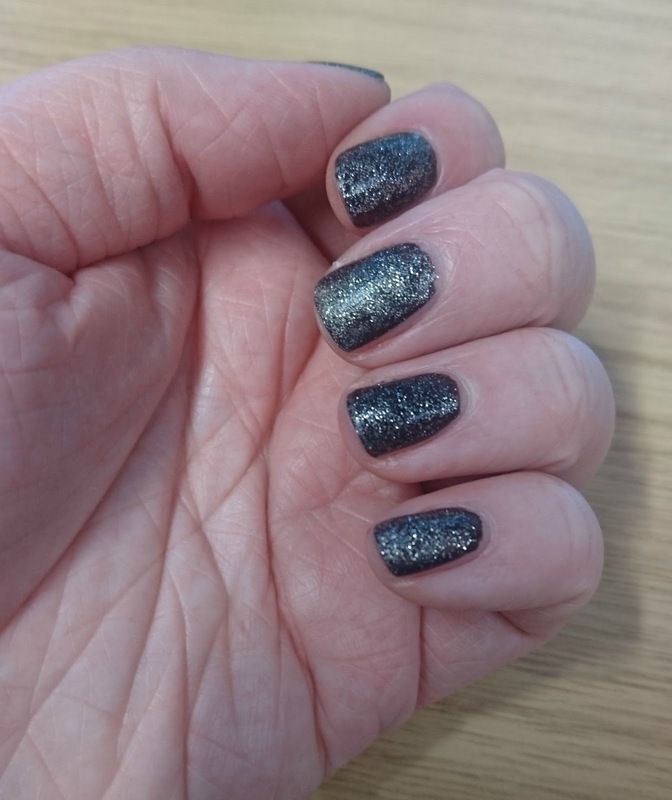 It's slightly darker for the time of year but still looks really nice and sparkly! 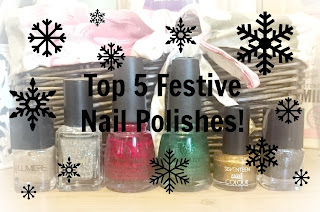 So those were my top 5 (well... 6) favourite nail polishes for Christmas! I love painting my nails with fun designs at this time of year because there are so many different designs that can be created! What are your favourites for Christmas time? beautiful colors ! love them all especially the green one !